Layered Online’s Beth plays referee – will foils or freehand painting win? For those of you that grew up with mousy brown or strawberry blonde hair, the introduction to highlights was probably a godsend. And we’re not talking about the cap crap, but the fabulous foils. I’ve been a dye-hard follower of foil highlights since I was 17 years old, when all the hard-earned cash that I’d saved from working part-time in a call centre went on these bad boys to makeover my mousey locks. And it was worth every damn penny. Fast forward a few (or so) years and I remain a faithful follower. And yet, despite working in the hair industry, I still can’t find the time (or money) to devote a whole five hours to getting a full-head of highlights. So I opted for a half-head, but knew they weren’t exactly what I wanted. I did what we all do too much of in life: I compromised. 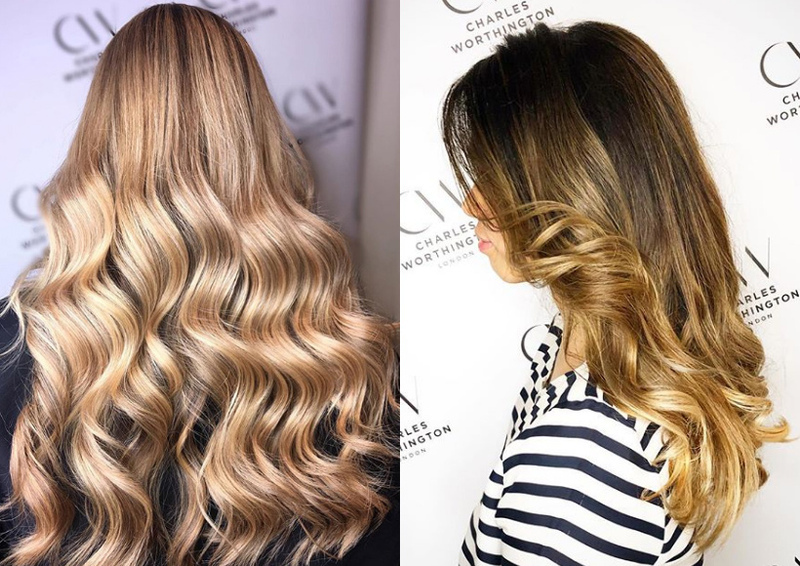 Even when balayage (pronounced BAH-LAY-ARGE by the way – I struggled with that for years) started getting really big, I stuck by foil highlights convinced nothing could give me the natural, sun-kissed style that I loved. But bayalage hasn’t gone away and it left me feeling… curious. Now you’ve more than likely heard of balayage, not least on this very site, but just in case you’ve missed one of the biggest hair colour techniques to have ever graced our fair isle, let us break it down for you. Balayage is a French word that means to sweep or to paint. When it comes to hair colour, it’s about painting colour onto the hair and getting a natural-looking result. All those sun-kissed looking pins on your Pinterest? Yup, that’s balayage. 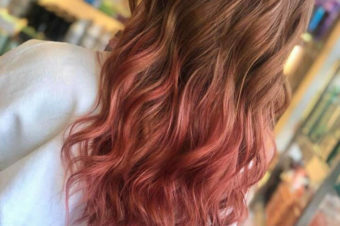 It’s this softness that sets balayage apart from other hair techniques, such as ombre, which gives a more dramatic, two-toned effect that’s typically darker at the top and lighter at the bottom. For this reason, it’s much easier to move on to balayage rather than ombre if you’re a highlighter. So, should faithful highlighters be throwing out their foils? To find out, I headed to Charles Worthington Percy Street where I had an appointment with master stylist, Nick Willis. First off, Nick told me that balayage is totally possible on highlighted hair and it can, in fact, soften highlights for a more natural regrowth (meaning you won’t need to return to the salon as often as you do with foil highlights). It’s also quicker to carry out in the salon. The lack of foils and use of a board instead mean that colouring is normally much faster to carry out, while the development time is shorter as the cling-film used generates heat. 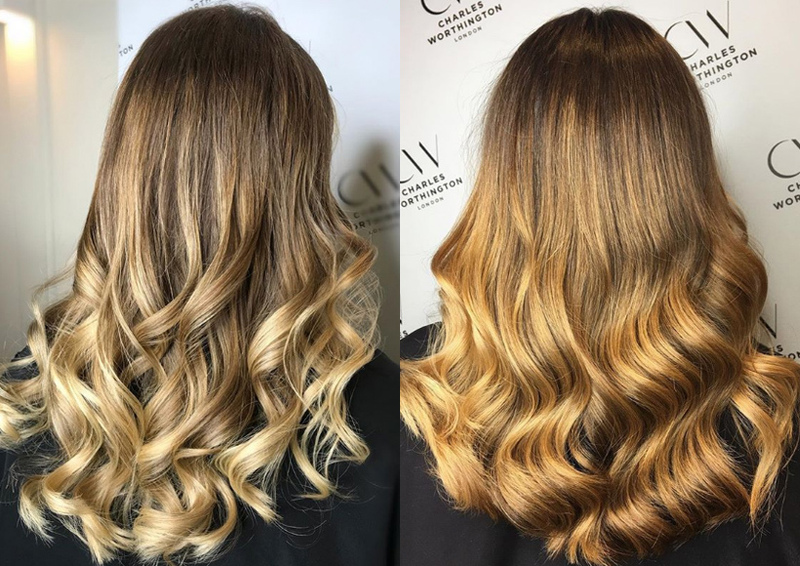 But – and there’s always a but – for those making the switch from highlights to balayage for the very first time, you might still need some high or lowlights put in at your roots– especially if you have a fringe, like me. “Never balayage a fringe,” says Nick horrified. “It ends up looking like old highlights.” For this reason, he suggests adding a few lowlights to my roots to bring out my natural colour and help add depth. I have a warm skin tone apparently, so Nick decides to add some caramel and honey tones on top (using foils) and then applies a creamy blonde using the balayage technique from the mid-lengths to ends, to break up the block blonde that builds up after several rounds of foil highlights (a highlighting hazard). He also uses this shade underneath where the sun doesn’t reach and it’s this that really sells balayage to me. My underneath hair colour is quite a bit darker than the top part of my head and it’s always been a bug bear of mine that my half head of highlights never got close to what lies beneath. It made braids look ‘interesting’ but it was never the effect I was really going for. Balayage has taken care of that with Nick able to balayage the top and bottom layers of my hair. He finishes with an all-over toner at the backwash to even it all out and, of course, bonding agent L’Oreal Professionnel Smartbond, to keep my hair strong and as damage-free as possible. After the blow-dry and finish, the total time I’ve spent in the salon is two and a half hours. It’s the same amount of time I would’ve spent having a half-head of highlights, but I’ve not only got all-over, natural-looking colour, Nick promises me that next time it should be quicker as the transition to having just balayage gets easier. 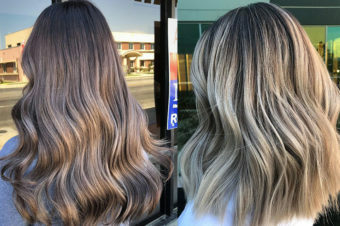 I’d thought I might always need some form of highlights, but apparently not as balayage can be taken all the way up to the roots (another difference between this technique and ombre), although if I insist on keeping my fringe, this might need foils. And the cost? No more than what you’d spend on a full head of highlights, Nick assures me. I’m sold. 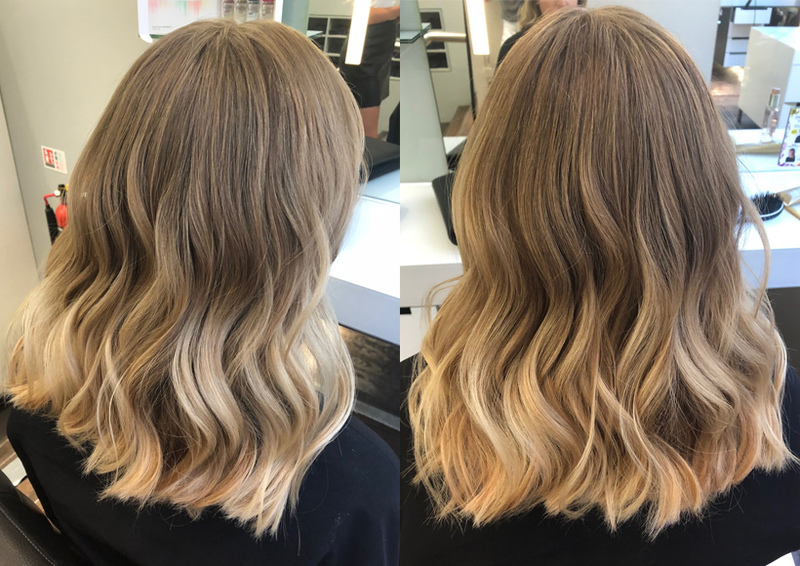 Yes, it’s slightly frustrating that you need to spend the initial appointment getting rid of the build-up of foil highlights and the dreaded band you can get round the head, but that’s because I’m an incredibly impatient person when, really, the benefits of balayage far outweigh any negatives. Prices start from £130 for a half-head highlights/balayage with Nick. To book an appointment with him or any of the stylists at Charles Worthington Percy Street, click HERE.